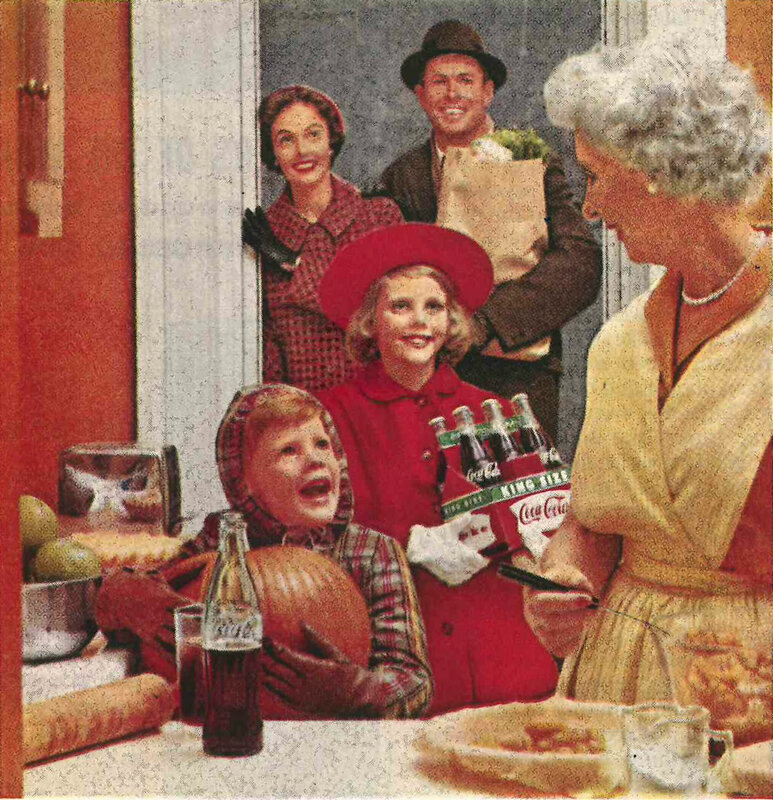 The Fifties were a dark time, especially since they hadn’t yet figured out the recipe for Coca-Cola-glazed turkey. Little Jimmy was excited that he’d finally get to carve the Thanksgiving Jack-o-Lantern. Little Jimmy was a dumbass. Grandma Esther was thankful that she smoked the reefer before the family arrived. America Pauses to be Thankful! Thankful…for the family life that is ours in America. Thankful…for the hope-filled future that is our children’s heritage. Thankful…for all the bounties our fertile land provides. Thankful…for all the freedoms we cherish. 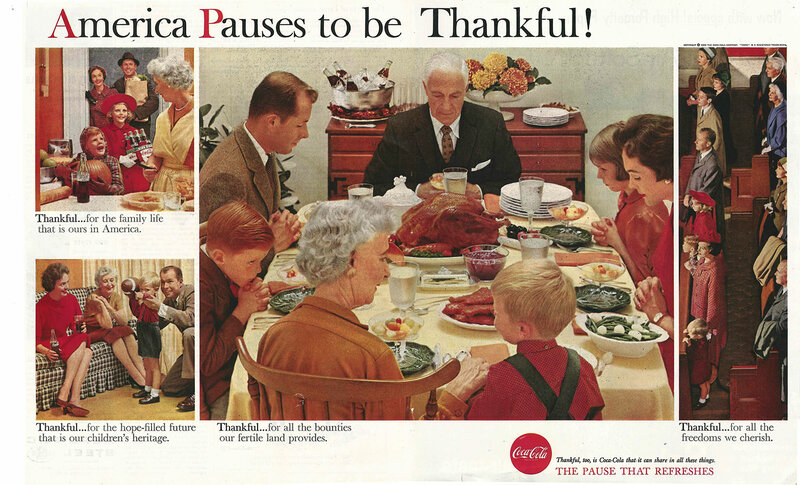 Thankful, too, is Coca-Cola that it can share in all these things. 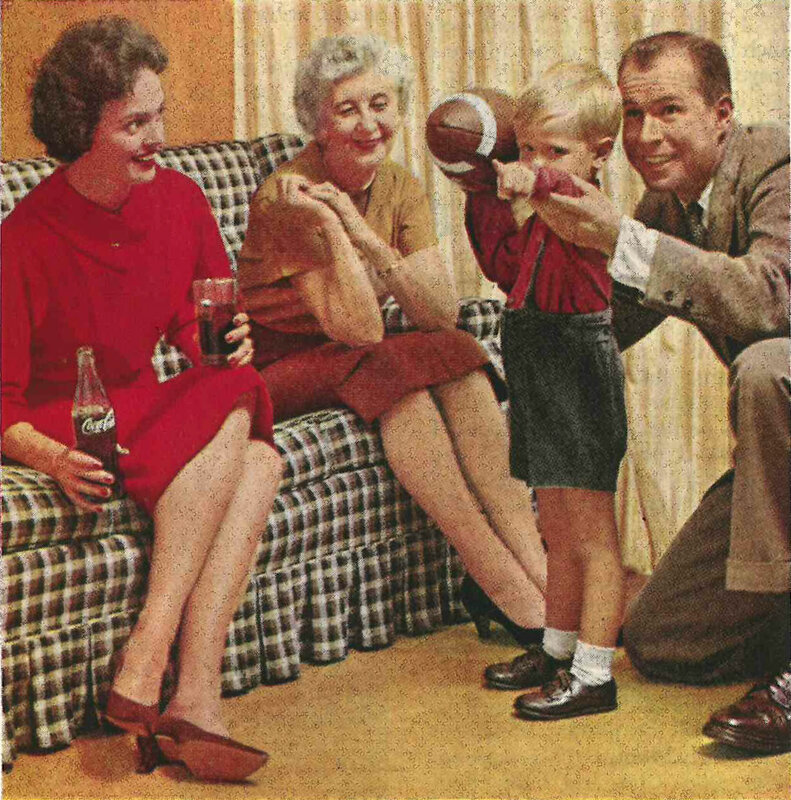 This entry was posted in ads of yore and tagged ad, advertisement, advertising, coca-cola, coke, magazine, magazine ad, print ad, retro ad, thanksgiving, vintage, vintage ad, vintage advertising on November 21, 2018 by Clayton Hove.